Deeper Life Ministries is an Anabaptist counseling center that strives to give Biblical discipleship to the people we serve. We work with single ladies and married people in common issues of life, such as depression, anger, bitterness, grief, and conflict in relationships. We offer premarital counseling upon request on a walk-in basis. Couples typically begin the discipleship program by coming for a one-week stay that includes daily counseling sessions. After their one-week stay, they have the option of follow-up appointments via phone calls or walk-in appointments. Single ladies usually begin the program with a two-week stay including counseling, and also have the option of follow-up appointments. Follow-up appointments are per request of the counselee(s). Premarital counseling is also available upon request. DLM conducts a number of seminars that provide foundational teaching and group interaction. These seminars are hosted at DLM or in nearby facilities, unless otherwise noted. Helping People In Need - We sponsor the Helping People in Need Seminar along with Fresh Start Training Center of Washington, IN. The HPIN Seminar is held during the third full week of January, from Tuesday through Thursday. The seminar is open to anyone, particularly those in a discipleship role, and addresses specific issues faced in discipleship relationships. It is held in Plain City, OH in the even-numbered years, and in Washington, IN, in the odd-numbered years. Marriage Seminar - On the third or fourth weekend of March, we host a Marriage Enrichment Seminar. Registration is limited to the first 30 couples who apply. Single Ladies - The first weekend of August, Friday through Sunday, DLM hosts the Single Ladies Seminar as a time of enrichment and encouragement for single ladies. Faithful Women - The Faithful Women Seminar occurs annually on the first Saturday of October. This seminar specifically addresses the challenges of married ladies and mothers, but all ladies are welcome to attend. Faithful Men - The Faithful Men Seminar takes place the second Saturday of November. Men come together to be challenged in specific areas of faithfulness as husbands and fathers, or as single men. DLM has an apprenticeship program available as another means of discipling individuals, and teaching them to disciple others. The apprenticeship is a three-month program that endeavors to teach applicants a biblical model of helping people with a variety of spiritual, emotional, and relational problems. This program consists of reading and listening to a variety of materials related to personal ministry. It includes writing assignments, activities and projects to stimulate both personal growth and develop a foundational basis for assisting others in the process of discipleship. Biblically-based literature is an effective tool in carrying out our mission. Therefore, DLM makes literature of this nature available through our bookstore. Besides books, we have seminar recordings and a variety of materials pertaining to specific issues and challenges of the believer's life and family life. Clients are also encouraged to make use of the books and CDs in our library on site at Deeper Life, which includes many of the books we have for sale in the book store. 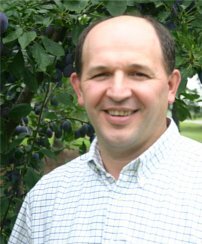 Dave Snyder came to Deeper Life Ministries in October, 2008. 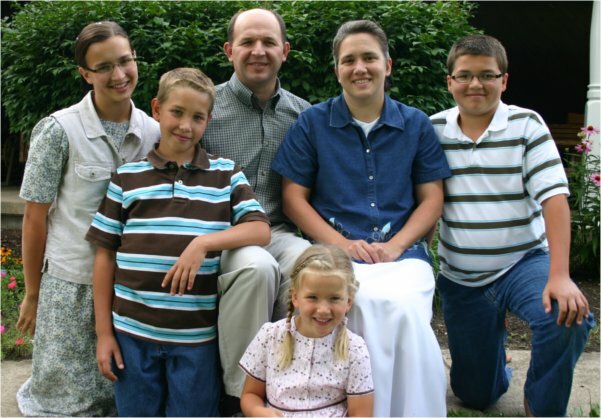 Dave, his wife Vonda and their children moved to Ohio from Eastern Pennsylvania. He is serving as the Administrator since 2012. Prior to that, he worked as a marriage counselor for 4 years. Before to coming to Deeper Life, he taught Bible studies in prison and worked at a family business manufacturing and retailing household furniture. Ben Waldner has been serving at DLM since 1999. He is joyfully married to Lucy and they have 4 children. Ben finds fulfillment in being instrumental in helping married couples honor the Lord Jesus Christ by cultivating a personal relationship with the Savior and growing their relationship as husband and wife. Additional activities Ben enjoys are growing fruit and hunting. Estalee Martin joined the ministry of Deeper Life in 2009, when she made the move from Wisconsin to Ohio. She works with single ladies and girls who come for counseling, helping them with a variety of issues and difficulties. 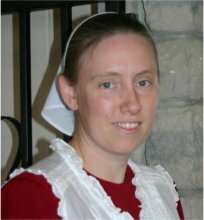 Prior to coming to DLM, she completed 1 year of service and 2 years of study at Faith Builders Educational Programs in northwestern Pennsylvania, worked as a clerk, and farmed with her family. 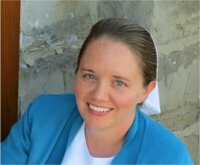 She loves interacting with her family and friends, and enjoys conversations that help others and herself to walk more closely with the Lord. Those conversations are even better when shared over cups of coffee! The Domestic/House Mom position is filled by Kimberly Beachy. She comes from Free Union,Va. She has been here 3 years. It has been made real to her since coming to Deeper Life Ministries how important it is it is to love the Lord with all your heart and to love your neighbor. She enjoys homemaking. 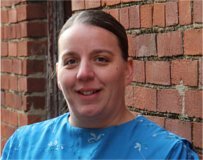 Debbie Shrock joined the Deeper Life team as Secretary in January of 2017. She is from Holmes County, OH. Prior to coming to DLM she worked at a print shop as a graphic designer/customer service. In her spare time she enjoys singing, crafting, and time spent with family and friends. Deeper Life's neighbors, the Masts, faithfully prepare and serve food for DLM's events. They do an excellent job, preparing food so delicious that we often receive requests from seminar attendees for their recipes. Fortunately, Regina compiled many of her favorite recipes in a cookbook, "Stutzman's Culinary Secrets." This cookbook is a best-seller in the Deeper Life Bookstore! Their culinary service to the ministry is sincerely appreciated by all our seminar guests. 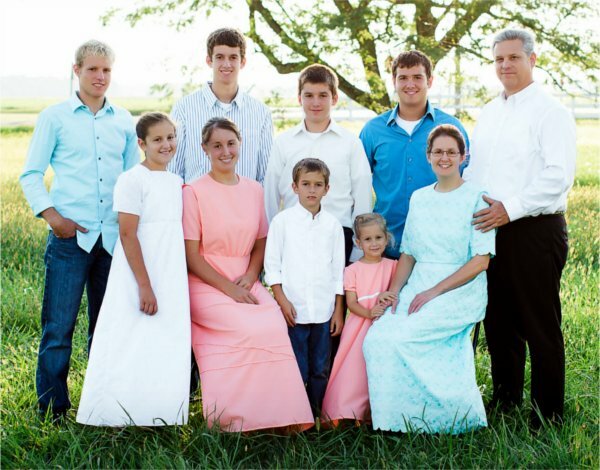 Deeper Life Ministries was started in 1994 by the Midwest Mennonite Fellowship (or MMF). We continue to receive board oversight and representation from the MMF. We have board representation from the Mid-Atlantic and Southeastern Conferences. Lodging, complete with bedding and towels, is provided for all clients. Married couples who come for a week of discipleship are given a kitchenette-a bedroom with a small kitchen-at the main building for lodging. They are responsible for preparing all of their own meals. Single ladies who come for a time of discipleship stay at the single staff ladies' house and have their meals provided. DLM operating funds are received primarily from donations and church offering, enabling us to provide spiritual discipline to all without requiring them to contribute financially. For those clients who are able to contribute financially, we suggest a donation of $25 per room, per day that DLM facilities are utilized. Also, for the time of discipleship we encourage an appropriate donation from the person or couple receiving discipling, or from the extended family or church requesting assistance from DLM. We neither accept nor refuse people on the basis of their financial contributions. DLM can arrange transportation to and from the local bus station or airport. We encourage an appropriate donation to the individual providing the service. "We thank you for listening, really listening to us and not becoming critical about us. The understanding and direction was incredible! Now we can glorify God for His forgiveness, realizing that God sees us personally, who really cares about us! God bless & direct you!" "God used my time here to stretch me and teach me. It was very challenging and encouraging." "I have been blessed by the compassion and concern expressed by all staff members. Counsel is based on the truth of God's Word. Our life's goal is to bring glory to God and we trust His sovereignty in our lives. God's promises are sure and He cares for me and will never leave me." "I have been richly blessed with my time here at DLM . I was confused about many things in life. Having been abused, I couldn't see things clearly. I was feeling guilty about things that were not my fault. With the help and guidance of a counselor, I came back to grip in my life, and I came to see how I feared man more than God. I look forward to learning to know God in a more intimate way." "The apprenticeship course at DLM equipped me with a more thorough understanding of God, sin, repentance, and lasting personal change. It was a time of intense spiritual growth for me, and a huge learning experience. During the course, I read assigned books on counseling, completed a DVD series, and observed several counseling sessions. I highly recommend this Biblical counseling course to anyone interested in helping people."